"Professional Wedding, Party And Corporate DJ"
Your event is as unique as you - ensure you have the quality, detail and 5 Star service you deserve. I have spent the past 10 years working as a professional DJ and musician, performing at hundreds of weddings, birthdays, proms, engagement parties, party nights, corporate functions, plus much more. In that time I have performed at a wide range of venues across the length and breadth of the country, including famous golf courses, castles, estates, stadiums and even museums. My experience as a musician/performer has given me a great insight into not just reading a crowd but entertaining them. In that time span I have went from running a small operation into being one of the most respected and sought after DJs in the business, offering a high-end bespoke entertainment service, hence the name 5 Star Discos. My business is centered on customer service and quality. My goal is every client's complete satisfaction. Required by many venues, 5 Star Discos has a current PLI policy with National Association of Disc Jockeys in the amount of £10 million. Also required by many venues, 5 Star Discos has supplied satisfactory evidence of holding current PAT inspections of their equipment dated within the last 12 months. A Method Statement outlining 5 Star Discos&apos; Health & Safety procedure for setting up disco equipment has been provided. 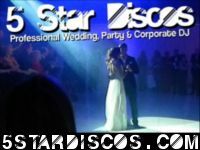 5 Star Discos has provided Risk Assessments undertaken at events sourced via needadisco.com, indicating that they can undertake these competently. Why do people choose to book 5 Star Discos? They seemed to have more coverage online. When putting them in google, I seemed to get more information about them. They stated that they have experience with the venue. Good website, good reviews, well written quote, solo operator. Graham offered the exact package I was looking for and the price was right. "Graham was great - we would definitely recommend. He was great at all the communication and planning before the event. He helped to mix our first dance song so that we had it to practice to. He played all our requests and called brilliantly on our ceilidh section. He has good ideas on how to structure the evening and he handled the delay to the beginning fo the dancing very well including cancelling his break so that we could have longer to dance. He also created a brilliant video montage of the dancing which is great to have. I would definitely use him again - thanks Graham"
"Graham was amazing. He interacted with our guests and even called ceilidh for us which everyone loved"
"Graham looked the part & sounded the part. Friendly, inviting and just a general quality DJ. If you are looking for professionalism with an approachable touch, look no further." "Thank you so much for the great comments. Was all my pleasure." 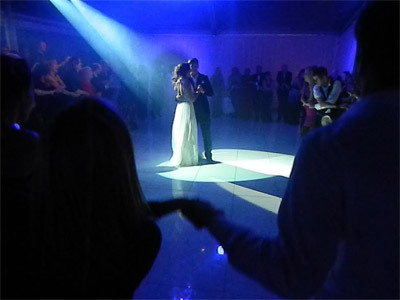 "I highly recommend Graham and 5 star discos - totally live up to the name! He made my mum’s surprise party a night to remember and had the dance floor full at all times. Thank you!!!" "I had an amazing night. The ceildih surprise at the start was an excellent idea and I am happy it was pulled off so well. It was a pleasure to play a part in your mums Birthday Party." "Graham went above and beyond for my daughter's party. Due to the adverse weather on the day of the party he arrived at the venue 2 hours early to make sure he got there. He was professional efficient and had all the kids (13 and 14 year olds) up dancing and interacting with each other. The music was brilliant. My daughter and all her friends had a ball because of him. I would recommend him 100% to anyone. Thanks again." "Thank you so much for your kind words. I had a great time at the party and the kids were a pleasure to play for. Thanks again." "Graham put on a great show at our wedding, our guests gave us great feedback about him and he kept the kids and adults alike dancing and entertained all night. Graham kept us informed during the lead up to our wedding and tailored a playlist that helped make our day unique and special. A couple of my friends are interested in booking him for their future events and we would certainly recommend him to others." "Thanks guys, had a great time at your Wedding. The dance section and special request of Pulp was definetly a highlight and a nice little touch which I think your guests loved so great choice. Again thank you for letting me play a small part in your day and all the best for married life together." "Graham was absolutely brilliant, kept us in the loop with everything from booking right up until he was finished on the night! fantastic communication & ensured that we had everything we needed. also did photos and a video which is a fantastic memory of the evening! Highly recommended Graham. " "Hi Guys, I am glad you had a great time and was so happy to play a part in your special day. You were a pleasure to work with and your guests were lovely too. Thank you for the hospitality and all the very best for married life together!" 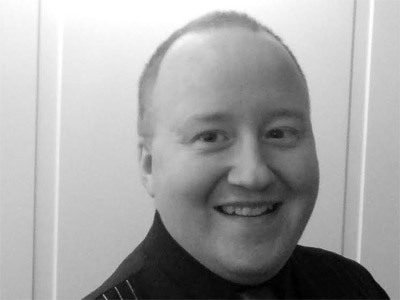 "Graham conducted himself in a warm, friendly and professional manner. He fulfilled his contract with us perfectly and couldn't do enough to make our night perfect. I would not hesitate to recommend him to family and friends. Thank you Graham for a perfect night." "I had a ball with you and your guests. The ceilidh was a great success and I'm glad so many newbies felt confident enough to give it a try. Again congratulations to you both on your amazing milestone and thank you for booking me." "From all the quotes we recieved from DJs, 5star discos DJ Graham was the only one who took the time to congratulate us on our engagement first, this made our very first interaction with him personal and this is the reason we booked him. Top quality customer service. " "Thank you guys. I genuinely do have my couples best interests at heart and want them to have the best night possible so it is always appreciated when that is recognised. I had a fantastic time entertaining you and your guests so thank you for letting me play a part in your Wedding celebrations." "Graham was excellent from initial engagement to the day and beyond. Graham contacted us a day or two before just to have a final quick run through before the big day. Graham listened to our requests and offered advice where he felt he could offer. We had additional evening entertainment which Graham worked alongside without any issue and additionally videoed our evening and the results were fantastic!! An excellent keepsake of our day. Cannot recommend highly enough." "Aww thanks for the great feedback guys. Everything about the night was excellent thanks to you and your guests being so up for enjoying yourselves. your friends who attended booked me for their Wedding next year so hopefully I will see you guys again then for more fun!" "The service provided was amazing and my guests have been contacting me to say that it was a terrific party with everyone getting up to dance throughout the evening.The party passed too quickly! Photos and a video were sent by DJ promptly after party but these were available within hours of the party finishing,what a great service.Graham is very attentive and checks throughout the evening to make sure you are happy with how it is going .i have been at so many events over the years and Graham has to be the best DJ I have come across.Dress code at the party was semi formal and Graham dressed in keeping which was very professional.On arrival at the venue he texted me to say he was at the venue and this was very considerate. I can't praise enough the service given and it made my birthday very special and one I won't forget,nor will my guests." "I am really so appreciative of that wonderful feedback, but more importantly I am so happy you had a great night just as you wanted. If you ever need anything else in future please dont hesitate to let me know,"
"Graham has his finger on the pulse. After he set up I asked if we could move his stuff back a bit to allow room for the photobooth. His reply was no problem. Nothing was a hassle. Kept in constant contact from booking all the way through. Actually recorded some footage from the party and sent us a disc. No extra cost. If you want the complete package, Graham is your man. Thank you Graham. Lianne Brian"
"Thank you so much for the kind words. Credit to yourself for giving me such a great song list to work with. Excellent choice in adding the moodlighting as I knew how effectively it would transform the room." "Amazing.....Graham was so accomodating, so professional and super at his job. He was in contact before the event to ensure he was prepared, was extrmely prompt on the day and provided vs great DJ service for the party. He got the kids involved and made them laugh and played all of the music we wanted plus some inspired own choices. He was a genuinely lovely person and I would not hesitate is recommending him to anyone." "Thank you so much for the great comments. It really makes my job worthwhile! The kids were great on the day and you had a good idea of what would create a great atmosphere by providing props and paints etc. that created a great atmosphere, which can be tricky for that age group. Once again thank you." "Graham was the best DJ who catered for eveything asked and more, would not hesitate to book him again and highly reccomend him"
"Awww I had such a an amazing time. Thank you for choosing me and for using me for future events. It was such a pleasure to be party of an amazing night which raised over 150GBP for charity"
"Fantastic DJ! 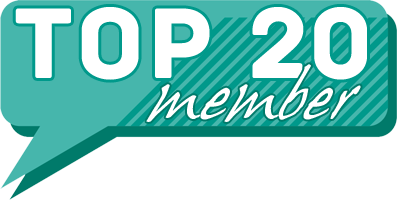 Professional, well presented, talented and goes above and beyond for great customer service. Nothing was too much bother and Graham worked really hard to make our day perfect for us. Video of night was icing on the cake and a great keepsake at no extra charge. Cannot recommend enough for any event/wedding you will not be disappointed." "Thank you so much guys. It was an absolute privilege and pleasure to play for you and your guests." "Dj graham done an excellent job at my son;s Christening. I asked if he would play some games to keep the kids entertained, which he did all the kids had an absolute ball, which meant the parents could relax. Mickey mouse also made an appearance (at no extra cost) which was a nice touch! Would definitely recommend guests have already enquired after him, which is always a good sign !!!" "Thanks very much for the kind words. I had a great time and the kids were wee gems!" "DJ Graham, was very good managed to source all music requests from current to the more unusual ones. Nothing was too much trouble. Ceilieh dances were great fun too, and a great night was had all. Kept in touch before and after event and was easy to contact if we had any questions. Would definitely use again." "Thank you very much for the kind words. 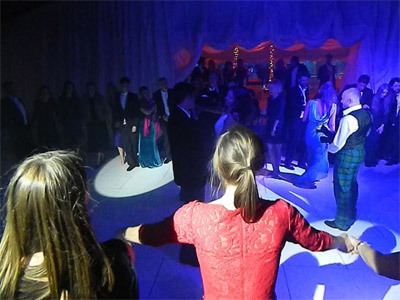 I always have a blast when the crowd want a good chunk of ceilidh music: )"
"I was 100% delighted with DJ Graham, fair to say I had the best birthday party ever and I put most of it down to the music, we I was up on the dance floor most of the evening. Love the video that Graham has created of the event, a brilliant keepsake and all my 105 guests left having had a great night. I will definitely recommend to others and if I organise an event in the future I know where to come. Thank you so much for sharing how to pick a DJ email with me this helped greatly in my decision not to go on the cheapest DJ available!" "Thanks once again for your kind words Nikki. It was an absolute pleasure to provide the entertainment for you, your family and friends. I had a great night. DJ Graham"
"DJ Graham of 5 Star Discos was great, he really made our night a success. He kept in touch before the event, communicated with our venue, arrived early to set up and let us know that everything was ready well ahead of time, which was obviously one less thing for me to worry about on the night. He got really involved in the night and fitted in just like one of our guest. He made sure things moved along nicely and that everyone got involved. I certainly would recommend him. I would also recommend the services of NeedaDisco as without you I wouldn;t have known where to start looking for a DJ/host, and I felt confident I had selected someone who was up to the job. Thanks for your help." "Thank you very much for the kind words. My aim is to provide people with the 5 star quality your event deserves!" 5 Star Discos also offers a range of additional party services not directly linked to musical entertainment. Please note that needadisco.com has no editorial control over these images which are stored on flickr.com. If you have any concerns about what you see below, for example potential copyright infringement or unsuitable content, you should take this up with 5 Star Discos directly using the Contact section below, or else you may alert flickr.com directly quoting "set number 72157640605417975". 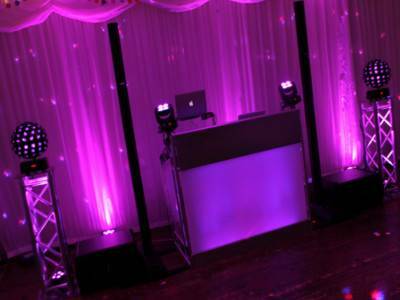 Professional Wedding, Party and Corporate DJ offering a bespoke service. If you are contacting 5 Star Discos about an event, it's always a good idea to include the DATE, LOCATION, EVENT TYPE, AGE GROUP and TIMINGS to speed things up!